Compare the visual strategies of expert athletes with novices to see and understand gaze patterns leading to superior performance. Cut training time, because, once you truly understand individual performance, training programs can be optimized for each athlete, which improves efficiency overall. Predict where injuries might occur and prevent them with proper training programs. Train using the ‘quiet-eye’ technique, follow the process improvements​- all with a unique first-person perspective into athletes’ behavior. William Rahm, a goalkeeper coach with the Swedish Hockey League brings eye tracking into his coaching sessions. To better understand the athletes’ reality and visual search strategies in the game, Rahm equipped one of the club’s top goalkeepers with Tobii Pro Glasses 2 during a regular training session. Allowing for immediate feedback, as well as recording and replaying gaze patterns for further analysis and feedback sessions, eye tracking is a valuable training tool that unveiles the athletes’ subconscious behaviors. These valuable insights into the individual performance will serve as a basis for building more efficient, individually optimized training programs and shortening the learning curve. Formula 1 driver Nico Hülkenberg is one of the world's most talented motor sports drivers and is currently working with the Sahara Force India team. With the purpose of exploring his reaction times and visual reference points while in a Formula 1 car, he was equipped with Pro Glasses 2 while driving at Silverstone Circuit in the U.K. Using eye tracking, we see that the view of the Formula 1 driver is obstructed by the front wheels and Hülkenberg is forced to make decisions using limited visual information. His focus of attention is on the road, curves, and apex lines. He only uses his peripheral view to get information from the rev counter on the steering wheel. Eye movements directly affect sports performance. Because of this, measuring an athlete's innate attentional focus and trajectory-estimation skills can play a vital role in talent recognition. Watching gaze videos from training sessions immediately reveals an athlete's search strategies and, perhaps even more importantly, a lack thereof. Eye tracking can highlight the differences in attentional focus in training versus in more stressful competitive environments. By detecting what is being done incorrectly, a trainer can more easily correct flaws with consistency training. More aspects about the key success factors in sports can be understood by comprehending how players perceive their surroundings on the field, especially in team sports. This is a video from our customer University College Dubin School of Psychology. Professor Aidan Moran explains the extensive eye tracking research performed at the school to understand the mental processes that distinguish expert athletes from beginners. Their data will help coaches train the next generation of players. Tobii Pro offers hardware and software, along with training and support, for the study of human performance in different contexts. We offer flexible solutions for research in real-world environments and in lab settings. This wearable eye tracker is ideal for research in real-world environments or simulators. The system is lightweight and unobtrusive to capture the most natural subject behavior. 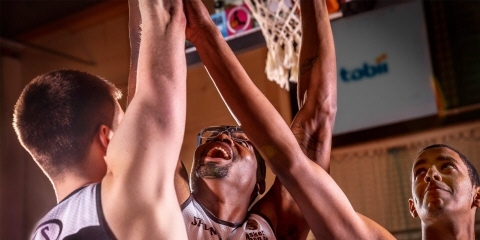 Tobii Pro Glasses 2 is commonly used as a tool to facilitate skills transfer from experts to novices and to optimize training programs across various sports. The Tobii Pro VR Integration with built-in eye tracking will bring athletes' training to the next level. The combination of technologies allows players to practice anytime and anywhere, as if they are on the ice, football field, or court. Coaches and trainers have full control over the training scenario and gain insight into the athletes' visual strategies. Accelerate training and improve situational awareness without putting your athletes in harm's way. 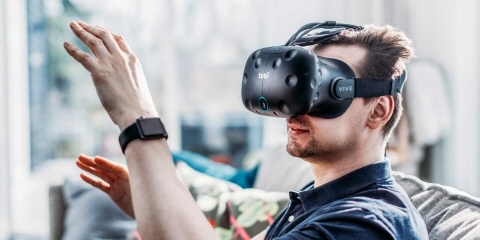 Tobii Pro Lab is a versatile software platform for extensive research into human behavior using eye tracking along with various other biometric data streams. This software supports the entire process, from test design and recording, to the interpretation and presentation of results, while offering the ability to sync with other biometric data sources. Pro Lab adds efficiency in every step of your study workflow with intelligent design and intuitive software tools. Learn more about Pro Lab. 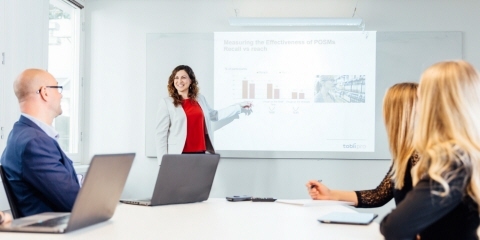 Our experienced Tobii Pro Insight research team helps their customers run studies across various industries and in sports. They provide full-service eye tracking research, which ranges from study design and data collection, to analysis and reporting. Depending on your needs, they will help you choose the appropriate tools and methods to complete your study. 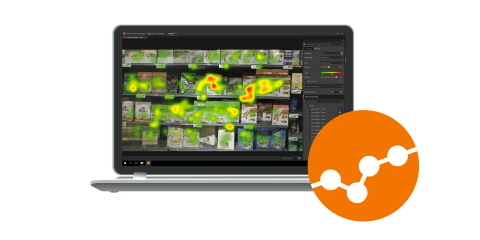 Contact Pro Insight, and they can perform your eye tracking research for you. Our experts produce webinars, courses, training programs, and instructional videos to help you learn more about every step of conducting eye tracking research. Pro Services will help get you up to speed quickly and successfully as you enter the world of this methodology. Learn more about Pro Services. Improving the performance of NASCAR teams with eye tracking.